Coopers Brewery mishandled the consumer backlash against its Bible Society partnership at all stages of the process, according to crisis communications expert Anthony McClellan. AMC Media founder McClellan, who has advised clients including Ian Thorpe, Beaconsfield Mine Joint Venture and Westpac, said naive decisions by the brewer made carrying out a crisis communication plan much more difficult. 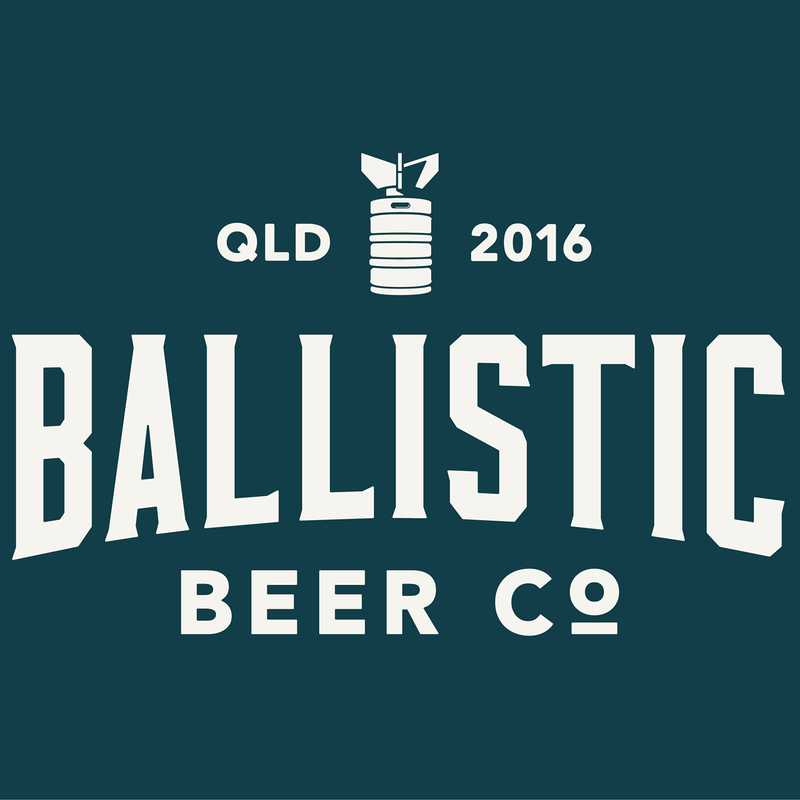 “This has all the hallmarks of a corporate panic,” he told Australian Brews News. “Coopers’ problem has been a lack of clarity and confusion in decision making, and that’s been reflected in their communications. “Still, I have some sympathy for them. They are not like evil people doing evil things, they just seem to have mishandled what is not all that difficult a situation to handle,” he said. 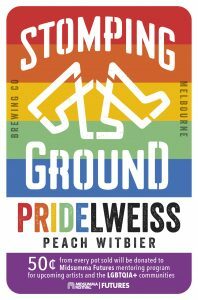 In addition to its support of the Bible Society, Coopers was an ‘official supplier’ of the Sydney Gay and Lesbian Mardi Gras between 2013 and 2016, according to Mardi Gras records. Supporting two organisations with completely conflicting views was an untenable position for the brewer to have found itself in, according to McClellan. “If they are out supporting Mardi Gras, that’s implicit support for marriage equality, you would think. What’s the hottest topic in that community at the moment in both social and political terms? Marriage equality,” he said. Although Coopers maintains it didn’t sponsor or endorse the now infamous video, McClellan says that supporting groups with such varied views without enunciating its own position gave life to the issue. “They seemed to want to sit on the fence regarding this very hot social topic of marriage equality, which is a very uncomfortable position to take. They should have been clear [from] the beginning what their stance on this issue was. I still can’t quite figure out what it is,” he said. “You can’t be half pregnant on something like this. 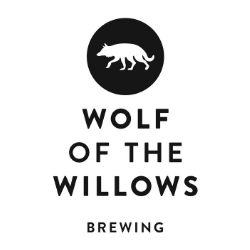 Their indecision has cost them dearly, at least initially, in terms of their reputation, and probably a few beer sales. “The fact that they’ve now said they’re going to join marriage equality – it would be very hard for them to continue their relationship with the Bible Society after making that announcement, I would have thought,” said McClellan. 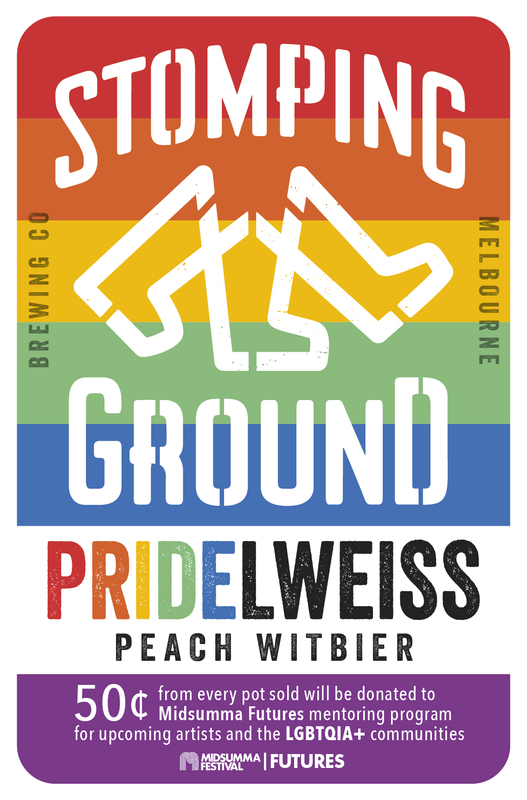 Melbourne brewery Stomping Ground recently nailed rainbow colours to its mast with the release of PRIDElweiss, a beer to raise funds for a queer arts and culture initiative. Outside the beer industry, large corporates such as Qantas have come out in favour of marriage equality, but McClellan said they would undoubtedly have calculated the commercial implications of such a public stance. “Companies, particularly small ones, may want to do things commercially that reflect their family values,” he said. McClellan said companies sometimes get involved in social or political campaigns without fully understanding these consequences. “I think that’s what happened here, even though the situation from my point of view appears confused to say the least, in terms of exactly what knowledge Coopers had and what involvement they had in the making of the original Parliament House video which showcased their ‘Bible Beer’,” he said. Coopers has denied sponsoring or approving the video, a position that has been confirmed by the Bible Society. McClellan said it is not surprising the assumption was made that Coopers was involved in the video that started the furore, given how their beer featured in the production. “Quite frankly, if you look at that video, it’s worthy of a Hollywood product placement award. For them to run a hundred miles an hour in the opposite direction saying, ‘it’s got nothing to do with us’, it just smacks of trying to cover their arse after the event. It makes a bad situation worse,” he said. “Even if it is the case that Coopers didn’t approve the Parliament House video, Coopers is still at fault because they clearly didn’t have control of how their brand was being used, or alternatively the Bible Society negligently or otherwise broke the agreement. “In either case, someone’s really screwed up, and Coopers have been left carrying the can, or bottle,” McClellan said. 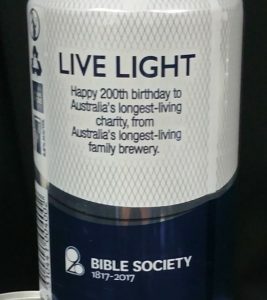 The planned release of the commemorative can should have come with explicit conditions about how it could be used by the Bible Society, McClellan said. “Surely to protect your brand, part of that licensing agreement must be to say, this must not be used in any situation, publicly or advertorially, expressly without our written permission,” he said. McClellan said companies finding themselves in a crisis need to take control of the situation “as best as possible, as fast as possible”. “The next thing is that clear decisions as to your position are being reflected in your communications. Coopers allowed it to fester so that a head of opposition steam built up,” he said. McClellan said this rapid action is particularly crucial given the influence of social media, which he now considers to be more important than mainstream media. “That’s the grave danger of the lack of clarity in the Coopers messaging. They went into such an emotionally charged issue without any communications ‘flack jackets’ or sufficient preparation,” he said. McClellan said Coopers had the right idea, putting a public face to the crisis with its video message on Tuesday night, but the effect was not what the brewer had intended. “The apology video is just cringeworthy – they looked like two deer in the headlights. It’s always difficult putting non-professional people in front of a camera – I had 13 years on 60 Minutes where my job was to put people on camera. This looks like it was hastily put together,” he said. “The whole aim of such a video is to say to the public, ‘please believe me, we’re terribly sorry, we’re decent people’, but they look like wooden actors reading off an autocue – it looks false, it looks like they are reading someone else’s script.